Sunny Childs, a single thirty-something works for an Atlanta private investigations firm. 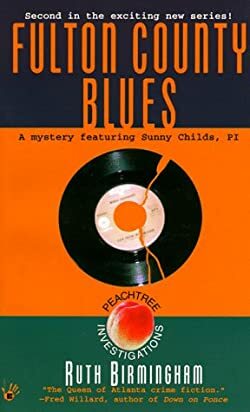 After concluding the case in Atlanta Graves, she is now investigating the death of a man who fought alongside her late father in Vietnam, Atlanta private eye Sunny Childs discovers that her father may not have died so heroically after all. Sunny investigates the death of her late father’s friend, another Vietnam vet — and finds clues suggesting her dad isn’t the war hero she grew up believing in. A short but fast-paced action-packed family mystery tale centered around atrocities committed in Vietnam, one that combines personal, historical and political features into a suspenseful, moving mystery that pulls the reader along on the ride. By the author of Atlanta Graves.